How many tier ten tanks now?? still only 2, is4 and 261. Focussing more on the tanks in between rather than the ends, plus stuck on some abysmal lines. 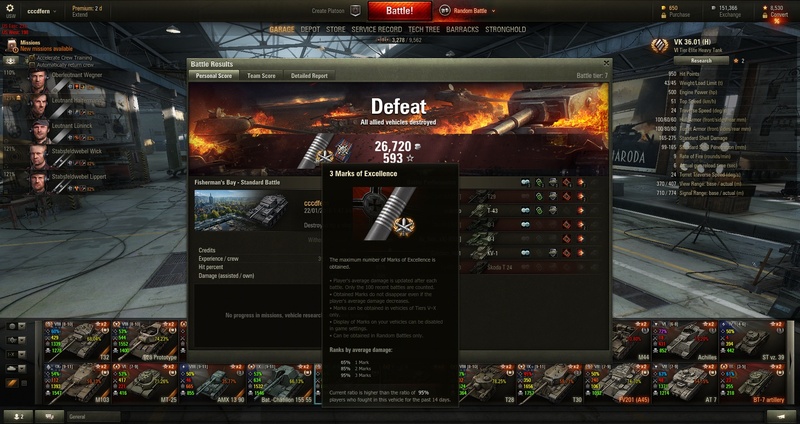 Same - 3 tier X - IS7, Obj263 and Fvb183b. Have a T95 I really should move up as well, but likewise, still grinding a heap of stuff at once. Battle achievements: Top Gun, Radley-Walters's Medal, Mastery Badge: "Ace Tanker"
Battle achievements: 2 Marks of Excellence, High Caliber, Mastery Badge: "II Class"
Battle achievements: High Caliber, Confederate, Gore's Medal, Mastery Badge: "Ace Tanker"